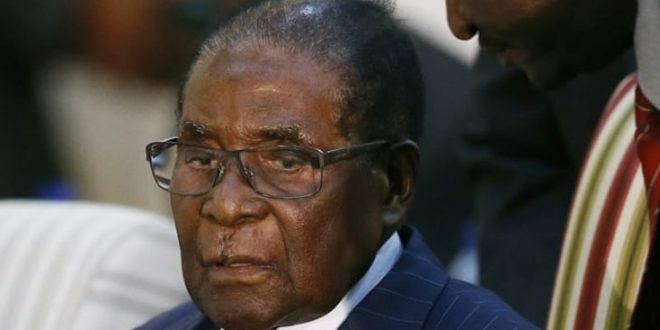 A presidential soldier who allegedly stole 119 laptops from former President Robert Mugabe escaped being sent back to remand prison after court trashed state’s application for him to be incarcerated. Pepukayi Zvakavapano’s trial will continue on May 21 and he will be out of custody. Harare magistrate Josephine Sande ruled that it was inappropriate for her to send Zvakavapano to prison pending finalisation of his case since the state did not bring any evidence to prove that he is interfering with witnesses. According to prosecutor Francesca Mukumbiri, Zvakavapano interfered with all nine witnesses who are yet to testify against him including the investigating officer. Some witnesses are allegedly refusing to testify after Zvakavapano promised to “deal with them” when his case is finalised. Court heard some witnesses who reside in the same neighbourhood with Zvakavapano, in Chitungwiza, are now living in fear after Zvakavapano promised to assault them all. It is alleged that he visited all the places where the witnesses stay, together with his workmates and promised war against the witnesses if they ever complied with the state orders. Mukumbiri made the application saying the accused was in breach of his bail conditions since he was ordered not to interfere with witnesses. Zvakavapano landed in the dock after he purportedly stole laptops belonging to Mugabe while on duty sometime in April this year. It is his defence, he claimed that he was given the property by Mugabe as a token of appreciation for good service rendered during his tenure as president. Zvakavapano is facing theft and unlawful entry charges. He allegedly connived with one Marega,still at large, to steal from the five containers which were in the basement after they were deployed to guard the premises. This was after the Zimbabwe House was to undergo renovations in March this year. Mugabe’s property was then moved to allow contractors to work freely. Zvakavapano and his accomplice then stole the laptops and other accessories valued at $49 982. They sold the loot and shared the proceeds.